September 7 is the 250th day of the year(251st in leap years) in the Gregorian calendar.There are 115 days remaining until the end of the year. 1695 – Henry Every perpetrates one of the most profitable pirate raids in history with the capture of the Grand Mughal ship Ganj-i-Sawai . In response, Emperor Aurangzeb threatens to end all English trading in India. 1776 – According to American colonial reports, Ezra Lee makes the world's first submarine attack in the Turtle , attempting to attach a time bomb to the hull of HMS Eagle in New York Harbor (no British records of this attack exist). The Roman Empire was the post-Roman Republic period of the ancient Roman civilization. Ruled by emperors, it had large territorial holdings around the Mediterranean Sea in Europe, North Africa, and West Asia. From the constitutional reforms of Augustus to the military anarchy of the third century, the Empire was a principate ruled from the city of Rome. 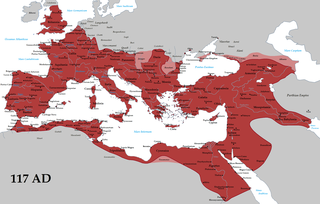 The Roman Empire was then divided between a Western Roman Empire, based in Milan and later Ravenna, and an Eastern Roman Empire, based in Nicomedia and later Constantinople, and it was ruled by multiple emperors. Year 923 (CMXXIII) was a common year starting on Wednesday of the Julian calendar. Emperor Suzaku was the 61st emperor of Japan, according to the traditional order of succession. Pavol Demitra was a Slovak professional ice hockey player. He played nineteen seasons of professional hockey, for teams in the Czechoslovak First Ice Hockey League (CSL), National Hockey League (NHL), Slovak Extraliga (SVK), and Kontinental Hockey League (KHL). A skilled offensive player, Demitra was a top-line forward throughout his career. Alexander Karpovtsev was a Russian ice hockey player and later an assistant coach for Ak Bars Kazan and Lokomotiv Yaroslavl of the Kontinental Hockey League (KHL). In the National Hockey League (NHL), he played for the New York Rangers, Toronto Maple Leafs, Chicago Blackhawks, New York Islanders, and Florida Panthers. He, Alexei Kovalev, Sergei Zubov and Sergei Nemchinov were the first Russian players to have their names engraved on the Stanley Cup, winning it in 1994 with the Rangers. Igor Borisovich Korolev was a professional ice hockey player and coach. Korolev played over 700 games in the National Hockey League (NHL) from 1992 until 2004. Korolev returned to Russia, and played a further seven seasons in the Russian Super League (RSL) and the Kontinental Hockey League (KHL) before retiring from active play in 2010. In 2011, Korolev accepted an assistant coach position with Lokomotiv Yaroslavl. Korolev was killed in the 2011 Lokomotiv Yaroslavl plane crash along with nearly the entire roster of the Lokomotiv Yaroslavl of the Kontinental Hockey League for whom he was coaching. A native of the Russian Republic of the Soviet Union, Korolev became a naturalized Canadian citizen in 2000. 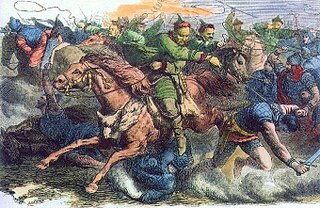 Sima Yi, courtesy name Zhongda, was a military general, government official, and regent of the state of Wei during the Three Kingdoms period of China. Year 355 (CCCLV) was a common year starting on Sunday of the Julian calendar. At the time, it was known as the Year of the Consulship of Arbitio and Maesius. The denomination 355 for this year has been used since the early medieval period, when the Anno Domini calendar era became the prevalent method in Europe for naming years. Air Force Day is celebrated in Pakistan as a national day on 7 September, after the annual celebration of the Defence Day. Airshows and other programs mark the Pakistan Air Force's (PAF) role in defending the nation in the Indo-Pakistani War of 1965. Saint Anastasius the Fuller is a Christian saint of the Catholic Church. Anastasius was a fuller at Aquileia who subsequently moved his business to Solin. ↑ Anderson, James (1742). A genealogical history of the house of Yvery, in its different branches of Yvery, Luvel ... H. Woodfall. p. 330. Wikimedia Commons has media related to September 7 .